This year 2016, a significant event took place from Oct. 14 to 20 in the historic city of Warsaw, capital of Poland, Europe. More than 300 of the top Taichi athletes from some 30 countries around the world gathered to compete and showcase Taichi, a sport that is among the most popular worldwide. This event, the 2nd World Taijiquan Championships, is the crown jewel of its organizer, the International Wushu Federation (IWUF). Since its founding in 1990, IWUF has spared no effort in promoting and raising the profile of Wushu as a competitive sport resulting in world-class annual Wushu championships hosted around the world. Taichi, however, was a small part of the Wushu venues. In the last few years IWUF has been devoting much of its effort in refining the structure and system of the competitive side of this sport. 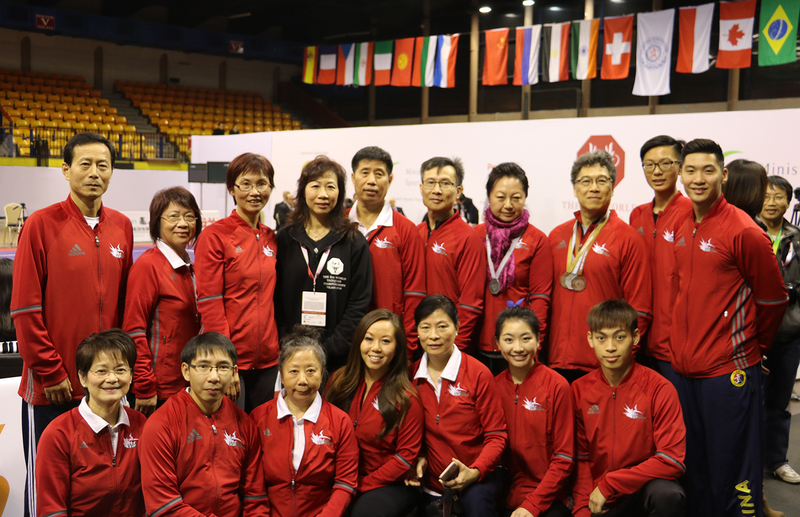 Canada as a member of IWUF has made tremendous contribution to this success story, and Ji Hong Wushu and Taichi College with schools in Vancouver, Calgary, Toronto and Edmonton, has delivered numerous world-class athletes, coaches and adjudicators to major tournaments sponsored or sanctioned by IWUF. 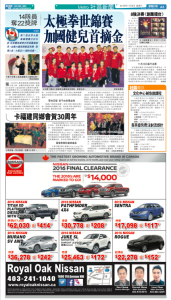 Earlier in the summer, a Taichi national team selection tournament was held in Toronto in preparation for the 2nd World Taijiquan Championships. After days of tough competition, a national team of 14 competitors was formed. Ji Hong contributed in a major way. 10 of the 14 team members are from Ji Hong. The team manager, Master Luo, and one of the team coaches Liang Jiansiung are from Ji Hong. Master Jennifer Gu, the very first Canadian to receive accreditation as an international Taiji adjudicator has been appointed as one of the adjudicators of the tournament. The flight to Warsaw from Canada was long and tiring, but there was no relaxation awaiting the Canadian squad. Scenic Warsaw with all its history and magic was out of bound for at least the duration of the tournament. Master Luo has a unique way to exact 120% focus to the preparation of the competition. It is the founding principle of the college that all students are encouraged to compete in tournaments, including the top-level ones like the World Wushu, World Taiji championships and the superb Taiji Push-hand championships in Chenjiagou. Both Master Luo and Master Gu firmly believe that all theories are to be tested and all skill levels are to be peer-reviewed which is what one gets in competing in tournaments. The sacrifices are great in terms of costs and time spent in going to tournaments, and winning medals is not guaranteed and certainly not an end to itself. And the rewards are not measured in medals. It is the opportunity to compete among the best and learn and improve through the process. And in this the 2nd World Taijiquan Championships Ji Hong students have demonstrated again that they can compete with the best and win! Michael competed in the Competition Division, one of the two divisions in the tournament. The other division is called Demonstration Division. Michael’s win in this division is a first ever for Canada. It was a proud and emotional moment when the Canadian flag was hoisted and the National Anthem played with Michael on the podium. A further 5 silver medals and 8 bronze medals were awarded to athletes from Ji Hong. All these competitors from Ji Hong have done Canada proud! We salute them for the sacrifice they have made. After all, they are amateur athletes with their career and regular work to attend to. We applaud them for the high standard they have upheld themselves as athletes and indeed as ambassadors from Canada. And we thank them for bringing honour to Ji Hong College. Their excellence and dedication is an achievement for Master Luo and Master Gu who have devoted their entire professional lives to educate those who have expressed interest in Chinese martial arts, may it be Wushu or Taichi. As Master Luo often says, “We will make you a Taichi person, yet”. It may take some time, and it certainly takes patience. In the end, the balance and harmony one learns to make good Taichi, makes good life too.